Comedian Rodney Dangerfield must have been thinking about immigration attorneys when he quipped “We get no respect!” Many people (and even some other attorneys) think that an immigration attorney just “fills out a standard paperwork form for 45 minutes” and mails it to the U.S. Government. Actually, an effective and experienced immigration attorney does a lot more than just “paperwork”. He counsels a client about immigration options. He formulates a strategic plan to secure a visa or benefit. He prepares and files legal petitions and supporting exhibits. He avoids common and often costly and delay-causing mistakes in the process. He provides on-going case status information. He answers a myriad of legal questions from the client throughout the case and afterwards. And he resolves any problems or issues in case processing with the Immigration Office and U.S. Consulate. In short, an IMMIGRATION ATTORNEY offers QUALIFIED LEGAL REPRESENTATION FOR THE CLIENT from start to finish until the visa or benefit is finally achieved. Furthermore, the reputations of many experienced immigration attorneys, such as ours, are well-known to various Immigration Officials and Consular Officers. This greatly benefits the client’s petition by reinforcing to government officials that the case is well-prepared, meritorious and deserving of approval as rapidly as allowable. Our Attorney Service is tested, and the results are proven. All of our visa petitions with U.S. Immigration have been approved (100% success rate). And nearly all our visas with U.S. Consulates have been issued (99% success rate). We relieve you and your family members from the time and stress of dealing alone with government bureaucracy and the U.S. immigration process. Thus, you and yours can better focus on your work demands and personal obligations. 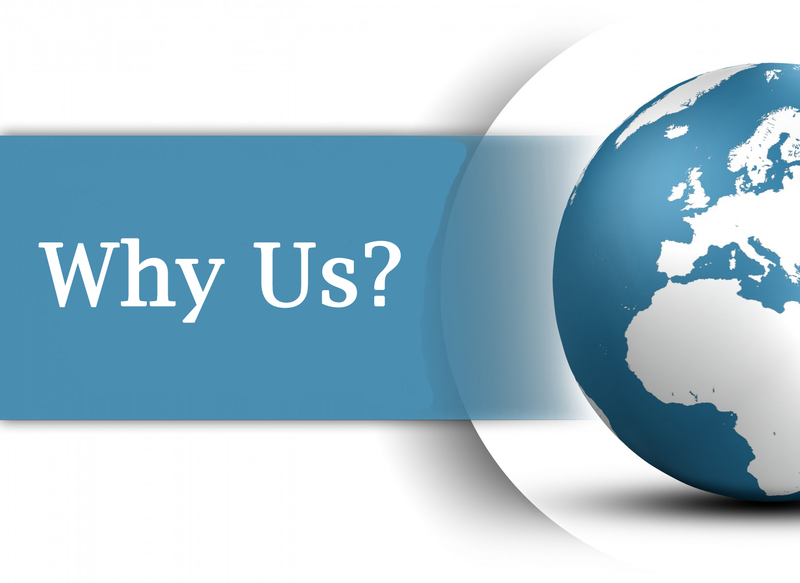 Call or E-mail us with your initial questions about our service, what we do and how we do it. Our objective is simple: the union of you and your family member in the U.S.A. as smoothly and expeditiously as practical and possible. Certain Clients with Special Issues Should Definitely Consider Using an Immigration Lawyer to Avoid Potential Case Processing Problems: Petitioners with Criminal and Domestic Violence Backgrounds, Tax and Financial Issues, Multiple Visa History, Insufficient Qualifying Income and other various issues. 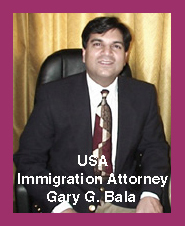 GARY G. BALA is a U.S.A. immigration attorney with 35+ years of attorney excellence. The office is located in Pennsylvania, in the Philadelphia suburbs. It is a small firm; thus enabling it to provide personal, customized service to foreign clients and their U.S. Citizen sponsors seeking family-based immigration visas for the USA. The practice is specialized in Lawful Resident Visas, Spousal Visas, Fiancée Visas, Children’s and Parents’ Visas, Adjustment of Status Applications for “Green Card”, Work & Travel Petitions for “Red Card”, and related immigration matters. Mr. Bala’s office has assisted clients with hundreds of visas and consultations. The office has petitioned in all major U.S. immigration offices nationwide, and many U.S. Consulates worldwide. The office is heavily focused with clients in Latin America, especially Colombia, Peru, Brazil and other Latin countries. 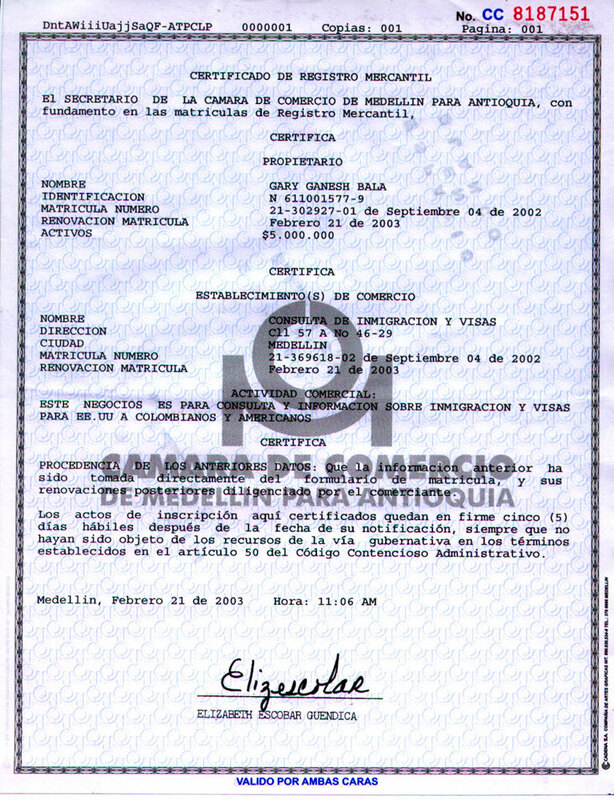 Mr. Bala is licensed with the state bars in Pennsylvania, New Jersey and D.C. He is a Dual Citizen (USA citizenship and India Overseas citizenship). He is listed in Who’s Who in American Law, Current Year, and the office is rated “AV” by Martindale-Hubbell Legal Directory (“highest level of professional excellence”). The office offers professional contacts and referrals in Colombia, and document translators in many other Latin country locations.